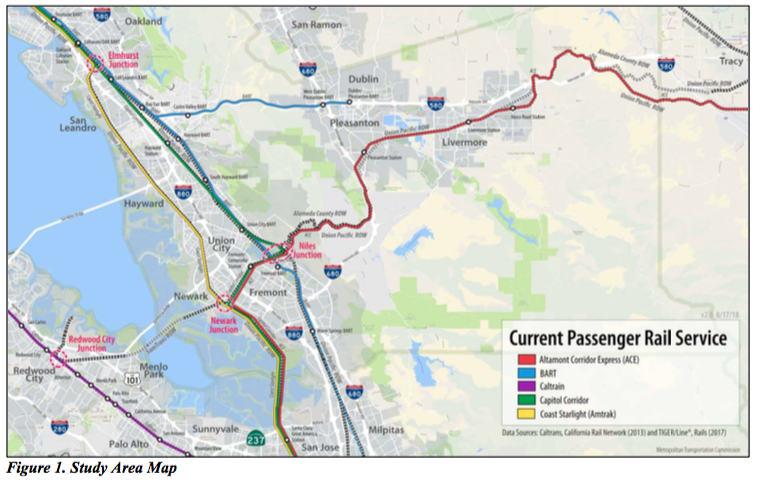 Starting next year, Facebook and the Metropolitan Transportation Commission will be respectively studying rail options for the Dumbarton Corridor; and East Bay station connections as called for in the State Rail Plan. Â Meanwhile, Union City is moving at cross-purposes, doing environmental review for a proposed expressway connection by Union City BART. Facebook has created a joint venture with the Plenary Group, a company that invests, develops, and manages rail and highway projects around the world, to do financial analysis and environmental reviewÂ of the feasibility of restoring rail service along the Dumbarton corridor. Â Â Facebookâ€™s philosophy to â€œmove fastâ€ calls for completing the studies, including public outreach, in 18 months starting in August, a pace that would result in decisions by the start of 2020, about a year before the MTC plans decisions about connecting hub stations. In the coming year, stay tuned for community outreach and the chance to learn more and share your thoughts about Dumbarton Corridor rail and East Bay station connections to regional and megaregional rail. Meanwhile, Union City is still working somewhat at cross purposes, seeking environmental clearance for an expressway connecting 680 to the Dumbarton Corridor past Union City BART. Â Union City is currently in the scoping phase for environmental review of its General Plan. 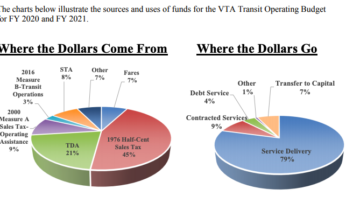 Last Spring, the Alameda County Transportation Commission refrained from committing to fund the project using Measure BB transit and active transportation funds, and send it back to Union City to figure out what and how to build, with encouragement to consider transit and active transportation options that are more compatible with the purposes in 2014 Measure BB. Express bus features along DeCoto Road such as queue jump lanes and transit signal priority, along as called for in the SamTrans Dumbarton Corridor study, to improve speed and reliability and increase ridership of the Dumbarton Express lines. Local street grid improvements in the station district, extending 7th street to provide a second access to the station district from Mission Boulevard and providing emergency vehicle access from the 7th street fire station, and promoting bicycle and pedestrian access and safety.Â The local street alternative would also eliminate the need to tunnel near a superfund site, greatly reducing environmental risks of the project. Have they ever considered upgrading the Niles Canyon Railway and using it in conjunction with the ACE tracks as a double track corridor? Not a bad idea, but I recall that Niles Canyon right of way is much curvier. Not sure if even tilting trains could cover it as fast as current UP route.